Please select from the options on this page to send your enquiries about Chamber membership, activities and related matters. We will respond as soon as possible. We would also love to hear your ideas and suggestions on what you think the Chamber should be doing – and what not! If there is an event you would like us to put on, or a Breakfast Club topic or indeed you would like to run an event – please do let us know. Please remember that all the Committee are volunteers – so a response might take a few days. The Chamber will not respond to unsolicited offers of products and services. 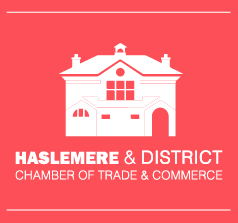 email our webmaster directly at webmaster@haslemerechamber.co.uk. If you need to contact us about payments, invoices or receipts, our Treasurer can be reached at treasurer@haslemerechamber.co.uk. If you would like to submit content or suggestions for the newsletter you can reach our scribe at newsletter@haslemerechamber.co.uk.